Before I get into this it is VERY important to point out that this article is NOT supported by Microsoft in any way shape of form. 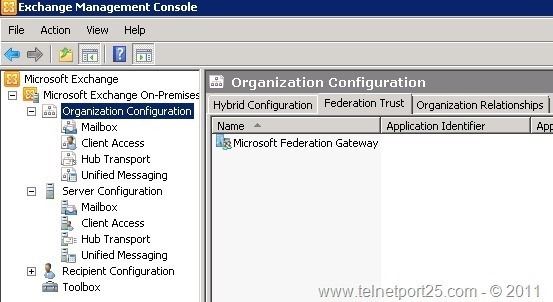 If you have run the Exchange 2010 Service Pack 2 Hybrid Configuration Wizard and therefore setup a configuration – you are NOT supposed to remove it. 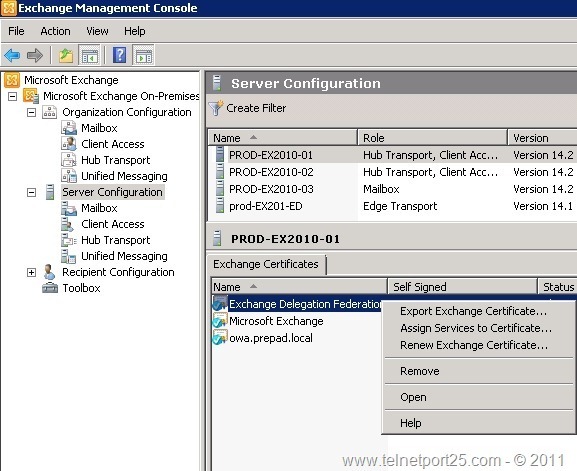 If you have created a Hybrid Configuration, but not made use of its features – this will not affect the functionality of Exchange 2010 SP2 at all. I have performed this process in a LAB – not in production, and I have posted it purely as a proof of concept as it came up on the MVP mailing list, and I was curious if it could be done, and therefore thought that I would share my findings, but it has not been tested for wider ramifications ~ you have been warned. 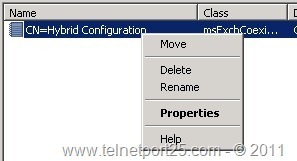 The next thing that you will notice is that you cannot via either the Exchange Management Console, or Exchange Management Shell remove the Hybrid Configuration (mumble, mumble). Therefore I have come up with the following process (again to reiterate that is NOT supported by Microsoft) that will remove the configuration and associated elements. 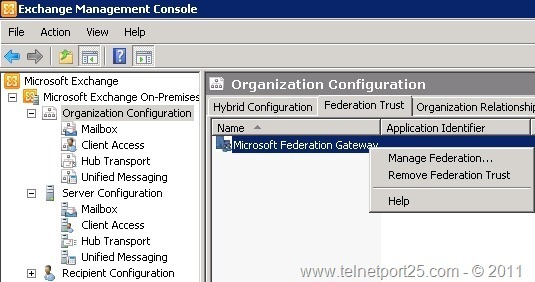 You will need to restart the Microsoft Exchange Service Host (MSExchangeServiceHost) service from the Services Manager on each of your Exchange Servers, and wait for AD replication to take place (if you have more than 1 domain controller) after which when you navigate back to the “Organization Configuration –> Hybrid Configuration” you will now see that the entry has gone. I had followed all steps… on exchange 2010… there is no hybrid config..
but when I try to install exchange 2016 for migration from 2010 to 2016 it says Hybrid config detected… and asks for the user name and password.. I was wondering if you were able to get out of the hybrid configuration with office 365 as I am having doubts that I would still be able to remove office 365 from my system and roll back to my on-premise server completely. Thanks for the excellent guide. The only problem with this guide is that once you break off the Hybrid setup you cannot create another one. The HCW will always fails. 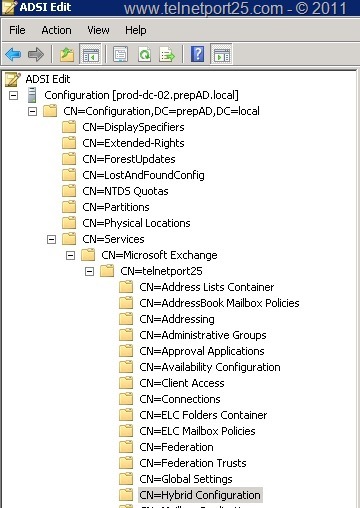 In order to be able to create another Hybrid configuration (very unlikely but I needed to do this in order to separate my on-premises mailboxes to two independent O365 tenants) you need to open ADSIEdit and recreate the Hybrid Configuration container (right-click ->New Object ->container and name it Hybrid Configuration). After that the HCW should be able to complete successfully.